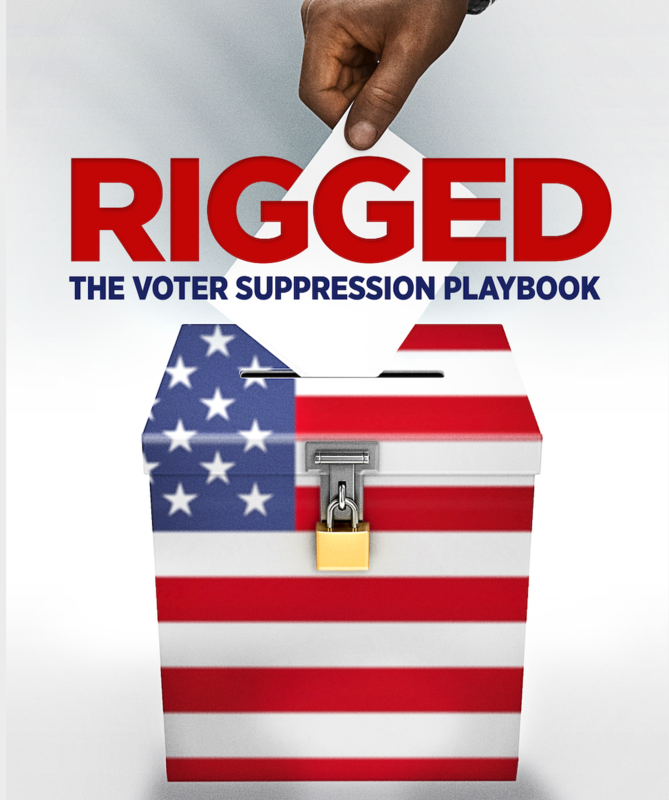 Rigged: The Voter Suppression Playbook is, as one critic put it, “a provocative, infuriating look at how voting can be suppressed in America. It's a documentary that cries out for justice.” In the wake of legislative attempts to derail democracy, Rigged identifies and unpacks a shrewd ten-part strategy developed by political partisans during chaotic elections to suppress votes that could be cast against them. Picture Motion is working to bring Rigged to communities across the nation to spark crucial conversations about voter suppression. As election 2020 approaches, these conversations are more important than ever. Hosting a screening of Rigged is totally free! When you sign up, you'll receive a free copy of the film, as well as promotional resources and a discussion guide.